This class is sold out! Thank you for participating. I will offer it in the future other places. I am teaching a three day experience in Yosemite with Heather Sullivan in August 2018. I want you to come because this place is a very important place and because Heather has devoted her life to being open-hearted which means she's a person you want as a leader on a weekend of self-reflection in the most sparkling landscape and you can learn about it more here. Also she took this photo. 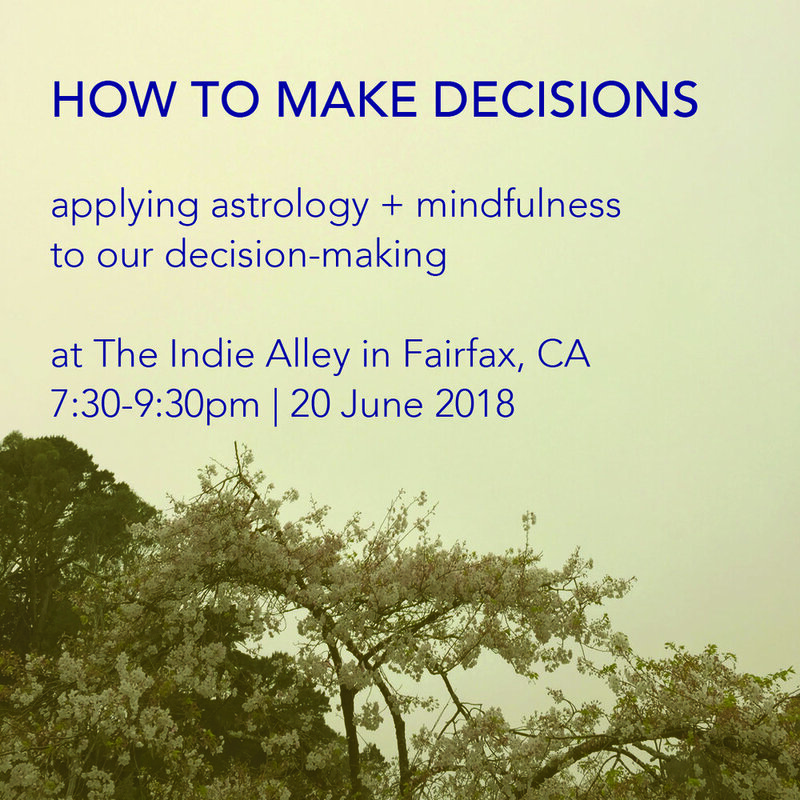 For so long I have been wanting to offer more access to the perennial wisdom astrology can provide! And now this will happen in the form of a class at a new co-working space, The Ruby. To learn more / sign up, go here. Saturday, December 23 from 11-1 (due to many miracles of physics and synchronicity) I will be in Grand Rapids Michigan with the blast of light that is Marlee Grace and we will exist together, with you, with creative practice, within very short days and we will pay attention to the process together and I invite you to do this with us in the form of a two hour workshop. Sign up here! Come be with me for my very first time in Grand Rapids! I will be reading some News From The Silence alongside this incredible strange human on December 16, 2017 at 7pm at Black Bird Bookstore. This reading is celebrating the publication of The Obvious Earth, put out by Carville Annex Press, where I publish books with my sister. Caitlyn Galloway will also be reading. This event is free! Join us to celebrate life and the earth and how obvious it is! For a long time I have been writing. I haven't known how to monetize this writing or even wanted to. But right now monetizing it means being able to devote time to it and devoting time to it feels like one of the acts of resistance that makes sense in this political moment. This conundrum of needing to monetize an art practice to spend time on it and the inherent problems with that often causes me despair. So I'm monetizing my writing by creating a performance about this very topic. Please join me for A Lecture on Despair & Discouragement where I will be answering the question, "What kind of event on despair & discouragement would actually help me / a person feel less of those things?" This is an experimental healing arts lecture where all contradictions, cognitive dissonances, hypocrisies, stresses, confusions, angers, despairs, failures, are welcome. Space is limited. Tickets must be purchased in advance. You will receive an email with the address + more details upon purchase. There will be refreshments. There will be excellent light. There will be flowers and breathing and sound and attention. This is an invitation. Click on Center's website where you can sign up for this event!